Babywearing – Wear all the babies! 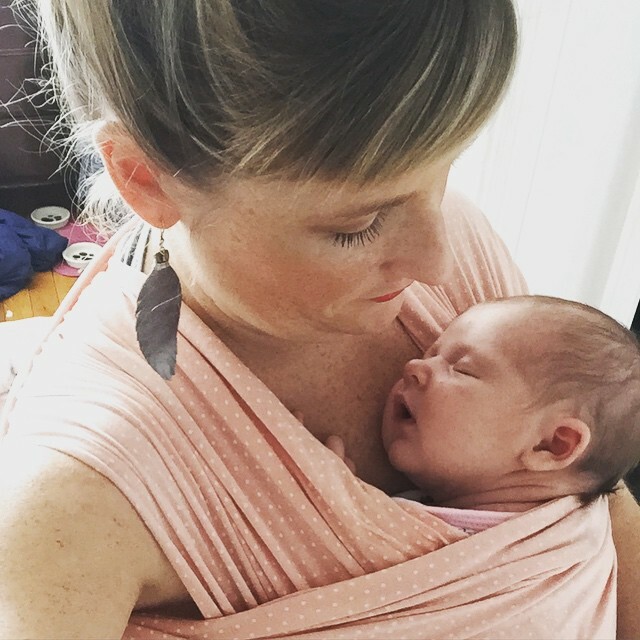 Because it is International Babywearing week, now is the perfect time to share why I love babywearing, The benefits of wearing your baby, and which wraps and ring slings I like best. I always knew I would love wearing my baby. When I first became pregnant I started my research on babywearing. The only wrap I had heard of was the moby wrap. One of my friends had it and absolutely loved it, but then I heard it had to much fabric and didn’t work well for petite moms. (I’m only 5’1.) It was then that I realized when it comes to wraps one size does not fit all, and it really depends on both mom, baby, and lifestyle. I found the best way to discover new brands of wraps is through social media – blogs, facebook, instagram, and pinterest. But another awesome way is through other moms at baby showers. I would go to my friends’ baby showers and see what kind of wrap they received as gifts. And so the research began. I became pretty addicted, searching hashtags on instagram, and following brands on facebook. 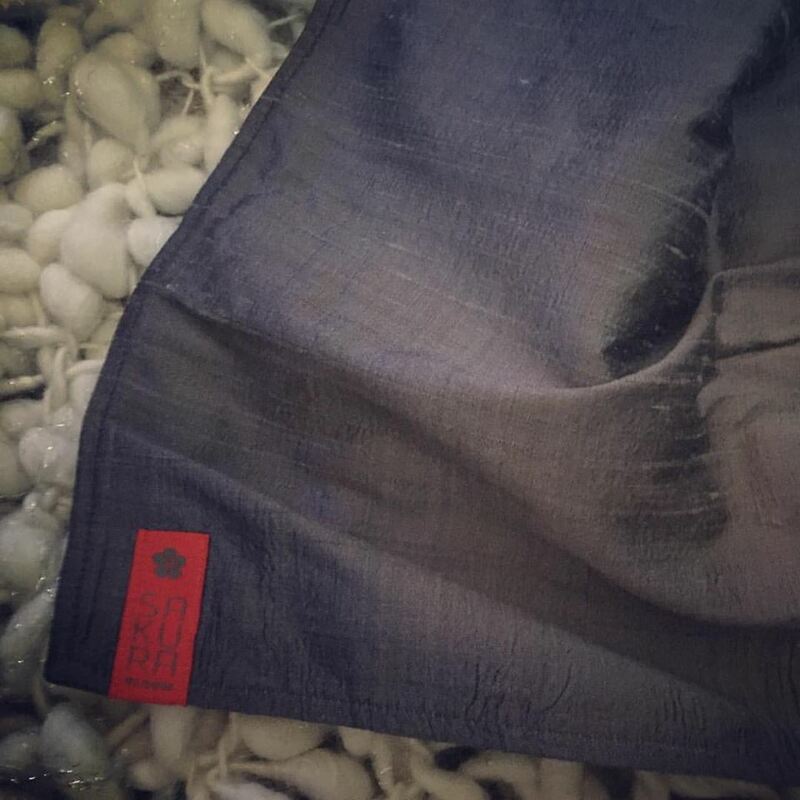 I found out that along with soft organic cotton, there are also woven wraps, and ring slings. In the end, I became pretty obsessed with finding the most stunning, softest, material. I considered brands such as Pavo, Tula Baby, Kindred, Maya, Sakurabloom, and Solly Baby. Turns out after much research, I finally decided on the Solly baby wrap, and Sakurabloom ring sling. I have yet to actually try the Sakurabloom because it just arrived in the mail today. However, ever since the birth of my daughter, I have been using the Solly baby wrap every day – and we love it. The fabric is extremely soft, made of awesome patterns and lovely colors. This wrap is breathable during the heat of summer, but cozy during the cooler months as well. It is easy to use. Your wrap will come with a user guide explaining the different ways to wrap your baby. But their website also has videos as well. Comfortable and cozy for both mom and baby. Zoe and I love cuddling all day long, no matter where we are. And no matter what errands I need to do, Zoe is close to my heart. There are so many benefits to babywearing. Busy moms get things done, while bonding with baby. I am a really active person, so for me, babywearing allows me to do the things I need to do, with Zoe content and happy while I carry her. When mom wears her baby, baby is content and happy. Babywearing is one of the best ways to soothe a fussy baby. When I wear Zoe she normally falls right asleep. However, when she is awake she is listening to my conversations, hearing my heart beat, and close enough to kiss. Babywearing is a bonding experience for both mom and baby. Zoe and I have been able to bond similar to when we do skin on skin, because she is that close to me, right next to my heart. Babywearing makes it easy to breast-feed. Babywearing helps promote healthy babies. Baby stays in tune with mom’s breathing, walking, and the body temperature of mom helps regulate the body temperature of baby. This is one of my favorite things about babywearing. I love Zoe keeping me warm. Mom and baby become in tuned with each other, similar to when baby was in the womb. Mom becomes familiar with baby’s cues, movements, gestures, and facial expressions. Babywearing has helped me learn Zoe’s cues and facial expressions. Babywearing has been happening for centuries. It may seem trendy here in the USA, but it is a part of many other cultures, especially through out Africa and South America. I love wearing my baby, and Zoe loves being worn. If you are a mama who hasn’t tried babywearing yet I highly recommend you do. The mental and emotional health benefits are endless, and it is the best thing in the world, having your baby cuddling close. 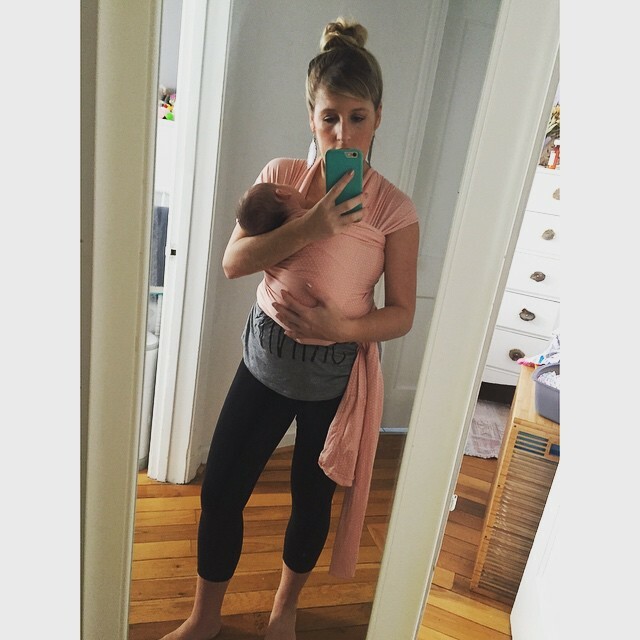 In this post, I am wearing the Solly baby wrap. What is your favorite babywearing wrap?